Rockcomms Electronics carried out full installation of 10 CCTV cameras in an equestrian stables for supervisory and security purposes at Westlays near Mintlaw, Aberdeenshire. 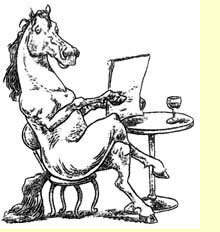 The owner now has full visibility her beloved horses from the farm house on her PC, and also when away from the stables on her ipad. As the safety and well-being of the animals is extremely important to horse owners - why not contact Rockcomms Electronics for a free survey and quotation for CCTV in your stables. 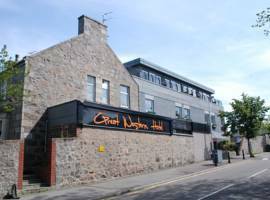 Rockcomms Electronics carried out full installation of 8 Digital HD CCTV cameras in the Great Western Hotel in Aberdeen for supervisory and security purposes, giving the owners and management of the premises 24 hour monitoring and recording facitlties in the busiest areas of the establishment. Security and the safety of guests and staff are extremely important to hotel proprietors - so why not contact Rockcomms Electronics for a free survey and quotation for CCTV in your premises.